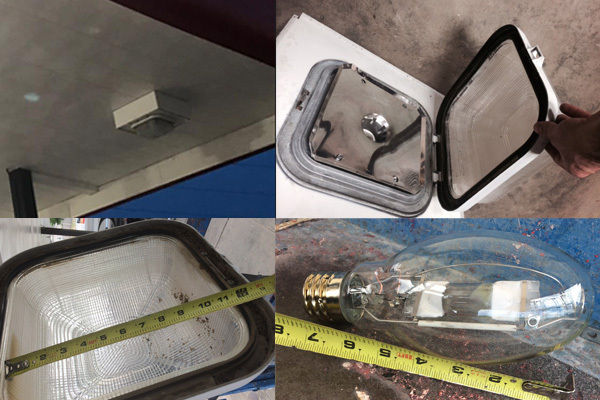 Gas Station canopy lighting retrofit LED 120W 14400lm to replace 400W HID lamp for gas station canopy lighting fixtures. 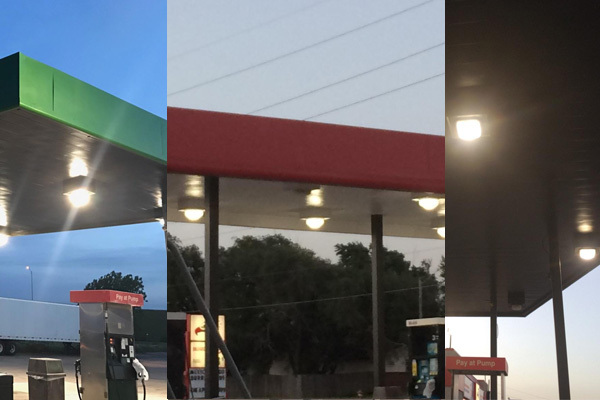 These gas stations used old canopy lighting fixture with 400W HID lamp as light source. 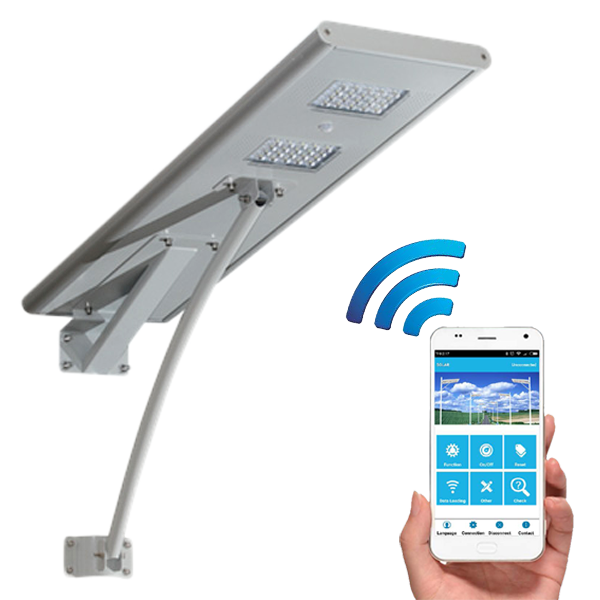 Confined by the size of the fixture, we need to come out with a LED solution with proper size to fit in. 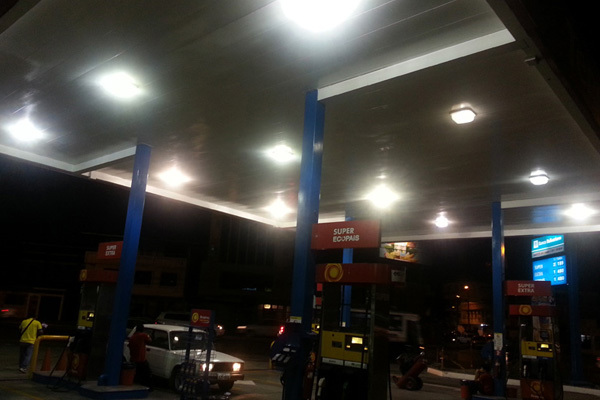 A flat gas station canopy LED retrofit kit with short bracket base for installation just serve the purpose here. 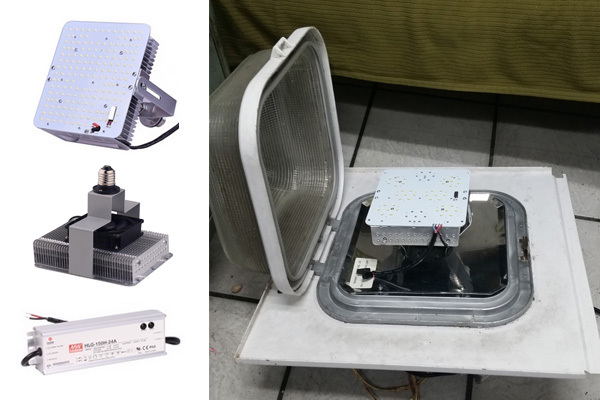 Disconnected the ballast, we are able to put the LED driver behind the reflector, easy to install.